How to Read Crochet Patterns – Abbreviations, Gauge, Tips and more! 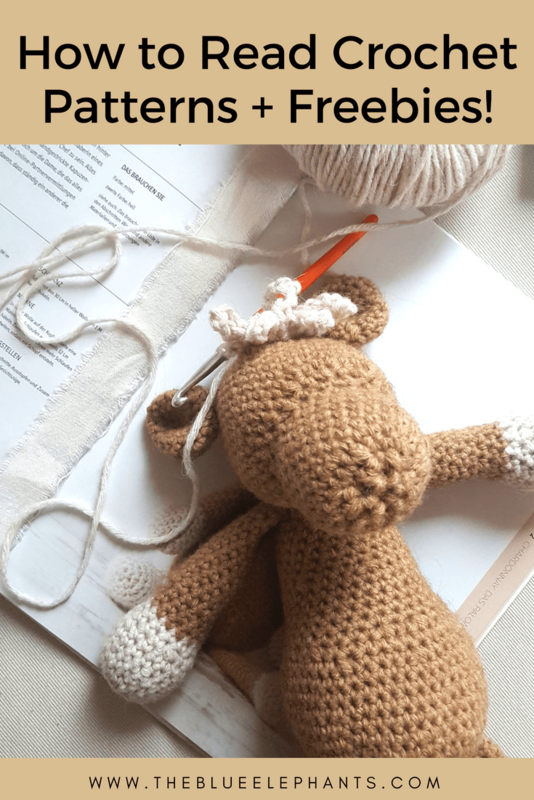 Today, I’m finally getting around to writing about a topic that you have been asking about for a long time: how to read crochet patterns! When you just start out, most beginners rely on videos and pictured tutorials to walk them through a pattern. It’s a great way to learn the basics and to see exactly how to make a stitch and where to place it. But it’s also easy to get stuck relying on videos if you never learn to read a pattern. And reading patterns isn’t hard! You just need to read carefully and understand what it’s asking you to do, and I’m here to help with that. Once you know how to read crochet patterns, the world opens up and there’s suddenly so much more you can make without the crutch of a video. You’ll be able to use more patterns in more styles, understand how the project comes together better and even open the door to designing and writing your own patterns. So, let get into it! Every designer writes their pattern differently, but they all have the same basic anatomy. 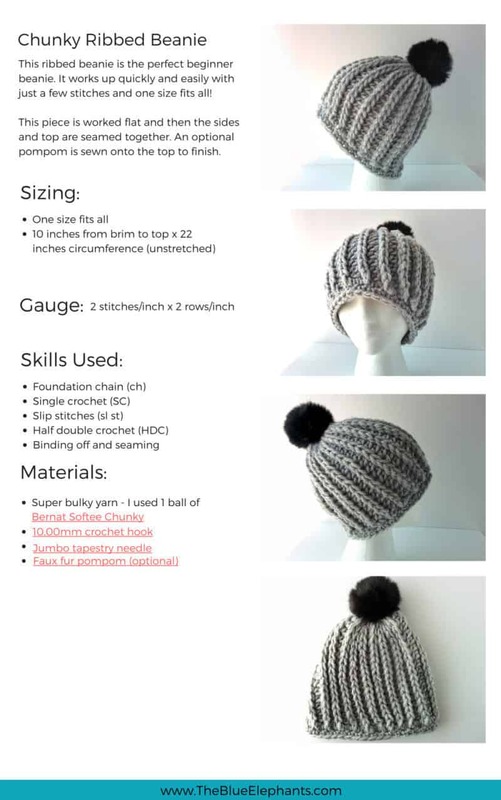 I’ll be using my pattern for the Madeline beanie (AKA Chunky Ribbed Beanie) as an example. This pattern is available for free here on the blog and as one of the patterns in The Beginner’s Guide to Crochet, and there is a video tutorial if you need help. But, for the sake of learning to read the pattern, try not to use the video. 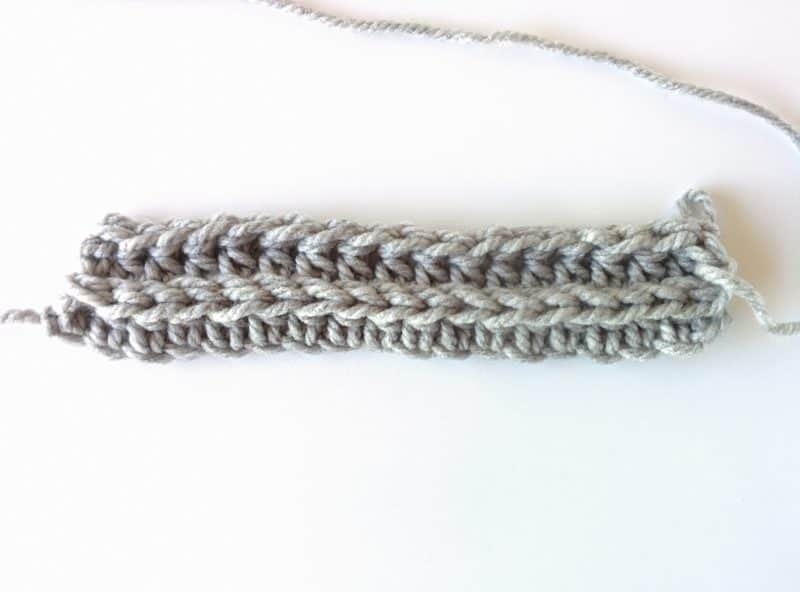 A crochet pattern starts with some information about the pattern itself. This is a little section on the top of the pattern or on the first page that just tells you a little about what the pattern is and why it’s so great. The designer also uses this space to include some information about how to customize the pattern or information on how it comes together. It’s basically just a little introduction. Next up is the materials sections. This is where the designer tells you what materials and supplies were used to make that item. It’s the most straightforward part of how to read crochet patterns. All it does is let you know what you need, but you can always switch that up if you like. I’m going to skip ahead for now and come back to abbreviations in a bit. The next section is the pattern notes. This part is usually where you’ll find information about the sizing, skill level, and gauge. It helps to read this section and get an overall idea of how big your piece will be and to make sure you’re on track as you work. If your pattern is more complicated, you’ll also find tips and some of the designer’s suggestions in the section. Crochet patterns come in different skill levels. They range from beginner (basic) to advanced (complex). Keep in mind where you fall on this spectrum as you learn how to read crochet patterns. I’m not one to tell you not to try something that seems difficult, but patterns with a more basic or beginner level will have easier instructions to read. It’s a good place to start when you’re just learning how to read crochet patterns. Here’s a little chart on what goes into skill level ratings from the Craft Yarn Council. Projects using basic stitches. May include basic increases and decreases. 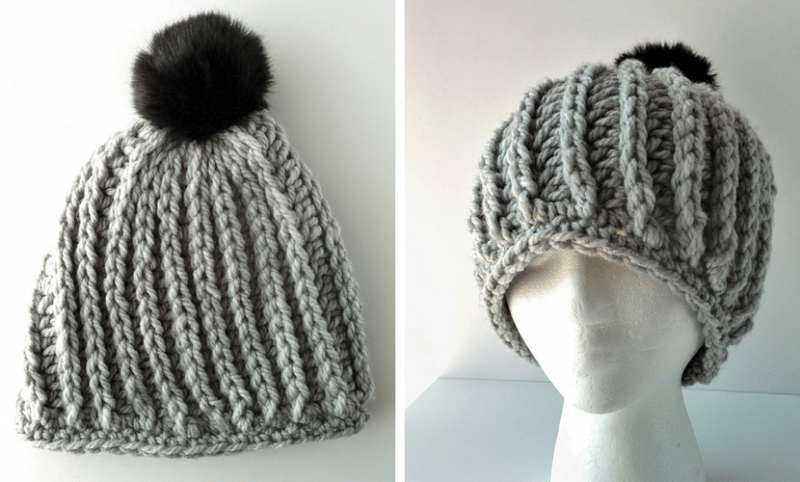 Projects may include simple stitch patterns, colorwork, and/or shaping. Projects may include involved stitch patterns, colorwork, and/or shaping. Projects may include complex stitch patterns, colorwork, and or/shaping using a variety of techniques and stitches simultaneously. NO ONE likes checking gauge, but it’s something you have to do. 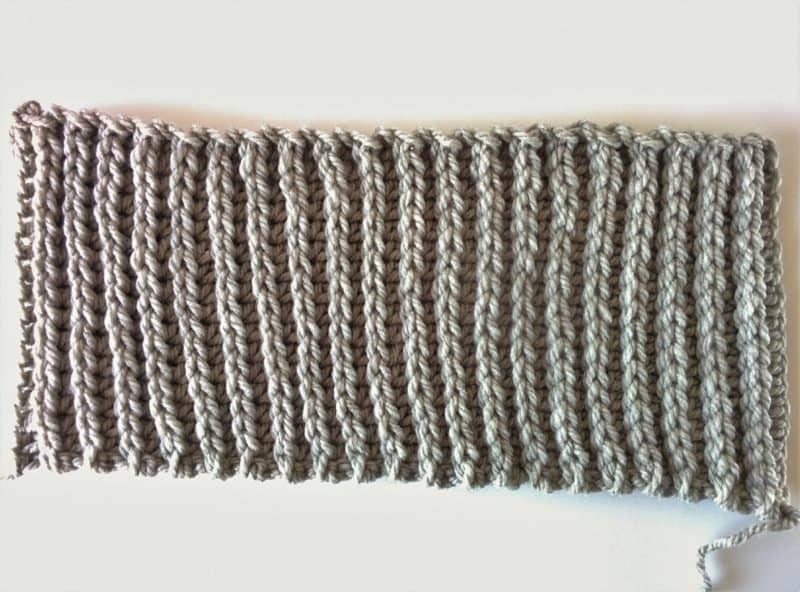 The gauge part of a pattern tells you how many stitches you have in each inch and how many rows you need per inch. If you’re making sweaters or gloves or ANYTHING that needs to actually fit a specific size, you need to check gauge. I will write a separate post on this, but here’s the short version. 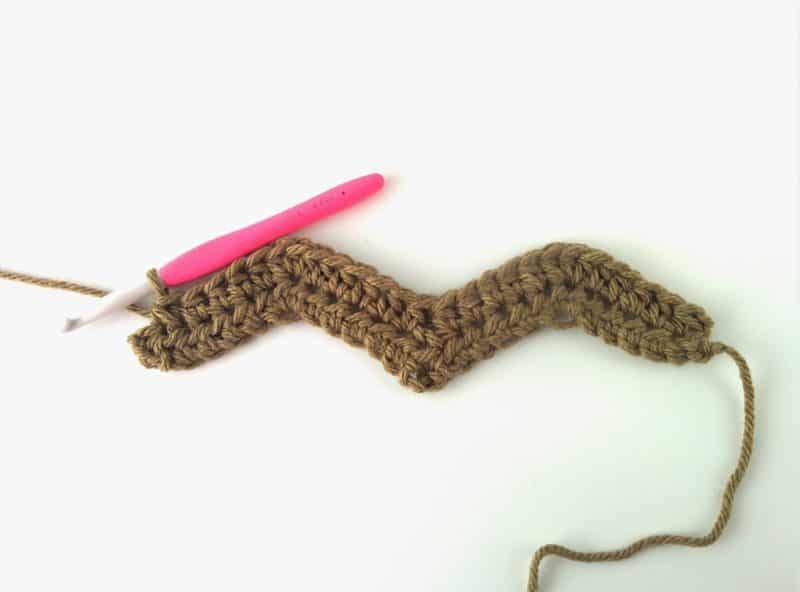 Crochet a sample square at least 3 x 3 inches using the hook and yarn you’ll use for the pattern. Then measure how many stitches fit in one inch and how many rows. Does it match the gauge your pattern calls for? If your gauge has too many stitches/inch, move up a hook size. If you have too few stitches/inch, move down a hook size. Work another swatch and measure the gauge again until you get the same gauge as the pattern. Don’t settle for close enough because those tiny differences will add up when you try on the finished piece. It won’t really matter if you knew how to read crochet patterns if your pieces don’t actually fit at the end! The abbreviations section of a crochet pattern is probably where most people get mixed up. Crochet patterns use a lot of abbreviations for the different stitches, the measurements, and just the language of the pattern. It makes it easier for the designer to convey what steps you need to do and how many times, rather than writing the full instructions out. However, it can be confusing if you’re just learning how to read crochet patterns. So, designers often include this section to let you know what the abbreviations in their patterns mean. All you need to do is decode it a bit. I have a hand guide to crochet terms and abbreviations here. , commas – these are the most common and used to separate each step in a row. You’ll see it as SC 1, DC 2, HDC 3. Each comma separates the next step for you to follow. * asterisk or (** double asterisks) – indicate repeat sections of the pattern. For example, * SC 1, decrease, HDC 1* until the end. This means that you will repeat the pattern between the asterisks until you reach the end of the row. ( ) parentheses – these are used to segment off a set of instructions. So you might see something like ch 1 ( DC 2, ch 1 DC 2) into the next space. What that means is you’ll work everything in the parentheses into the same space. Some other terms you might come across as you learn how to read crochet patterns deal with the fabric itself or where to place the hook. Right side (RS) refers to the right side of the fabric. It’s the side that looks better and faces you when it’s done. Wrong side (WS) is the other side of the fabric or the inside. Bind off/Fasten off refer to securing the yarn and cutting it to finish the piece. Through back loop/ through front loop refer to where you insert your hook. Sometimes, I pattern asks you to only go through one loop (either front or back) instead of both. Sometimes, patterns will have special terms or stitch names like puff stitch or V-stitch. In my example here, you see that I used SC to mean single crochet, HDC to mean half double crochet and sl st to mean slip stitch. These are all pretty common and won’t change much in the patterns you see. Sometimes, you’ll get something like Tr/rf . In that case, there will be the instructions written out in this section, then just the abbreviation throughout the pattern. Tr/rf = a treble that is worked around the post of another stitch by inserting the hook under and around the stitch rather than into the space. There are different abbreviations for stitches in the UK and the USA. Most of the time, if you see SC = single crochet, you’ll know that you’re using a pattern with USA terms. All of my patterns use USA terms so that’s what you’ll see in mine, but it’s good to know both. I’ve put together a page with a list of all the terms so you can print it out and use that as a guide. Aside for stitch abbreviations, you’ll also find abbreviations for measurements and instructions about what to do with your stitch. For example, a pattern might tell you to work TBL = through back loops only, or to do something on the WS = wrong side of the piece. These are all also on the page with all the crochet abbreviations. Whenever you start a pattern, check the abbreviations section to make sure you know what everything stands for. It will make learning how to read crochet patterns much easier. 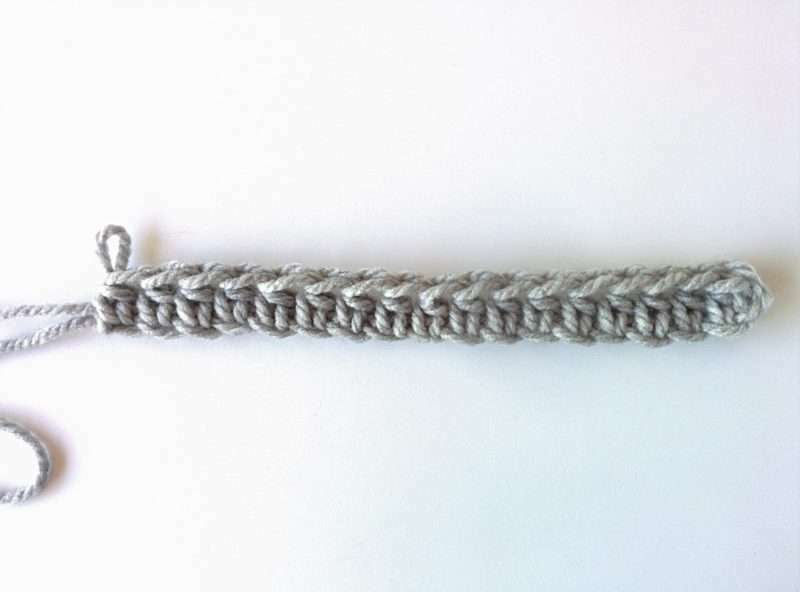 Row 1: Start with a slip knot and ch 18. Turn, and starting with the 2nd space from the hook, HDC 17 stitches. When you reach the end of the row, do not chain 1. Start with a slip knot and ch 18. Easy – make your slip knot and work 18 chains. Turn, and starting with the 2nd space from the hook, HDC 17 stitches. Okay so first we turn out chain so we can work into it. Then, we find the 2nd space from the hook and that’s where our first stitch will go. 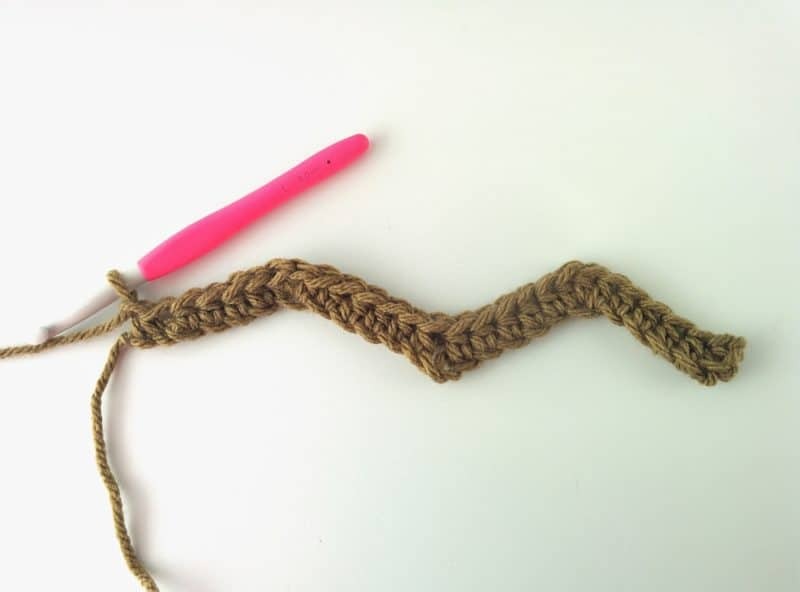 Great, now you are going to make a half double crochet in the space and each space after. You’ll have 17 HDC. When you reach the end of the row, do not chain 1. Finally, the last part just says not to make a chain 1 when you get to the end of the row. So don’t do anything! See how much easier it is to break the row into its individual steps and just focus on one part at a time? Let’s move on to row 2. Row 2: Turn. Slip stitch into each space (17). At the end of the row, chain 1. Turn. Just turn the piece so you can work the next row. Slip stitch into each space (17). You already know how to work slip stitches, so just work one slip stitch into each space. The number in the parentheses tells you how many you should have at the end, so 17 slip stitches. At the end of the row, chain 1. Great! Now that you’re at the end of the row, make 1 chain. For this pattern, you’re basically just working these two rows over and over again. At the end, you sew it together to finish it off but that’s the crochet pattern. This is an easy pattern, but no matter what pattern you use, this is how to read crochet patterns. It looks complicated and jumbled when you started, but once you understand the abbreviations and know how to work the actual stitches, it’s just a matter of doing a little at a time. Every crochet piece is made one stitch at a time, and that’s how you should read patterns. This next line has a lot more going on with it, but it’s just as easy to do. I’ve pulled this from my Mocha Ripple Throw pattern. I skipped the first row that tells you how many to chain and the second row because you really just repeat row 3 to get the blanket pattern. Insert your hook in the chain and pull up a loop. Then insert into the next space and pull up another loop. Yarn over (YO) and pull through all three loops to decrease. Be sure to start in the chain 1 space! HDC 4, 3 HDC into the same space, HDC 5, then skip two spaces, *HDC 5, 3 HDC into the same space, HDC 5, skip 2 spaces*, repeat this until the last side. HDC 4, then decrease over the next two spaces to finish the row. Leave the last stitch unworked. Chain 1, turn. Again- after completing row 2, you’re just going to chain once and turn to start row 3. Insert your hook in the chain and pull up a loop. Insert the hook into the chain you just made and pull up a loop, but don’t make a stitch yet. We just need the loop. Then insert into the next space and pull up another loop. Now insert your hook into the next space along and pull up one more loop. Yarn over (YO) and pull through all three loops to decrease. 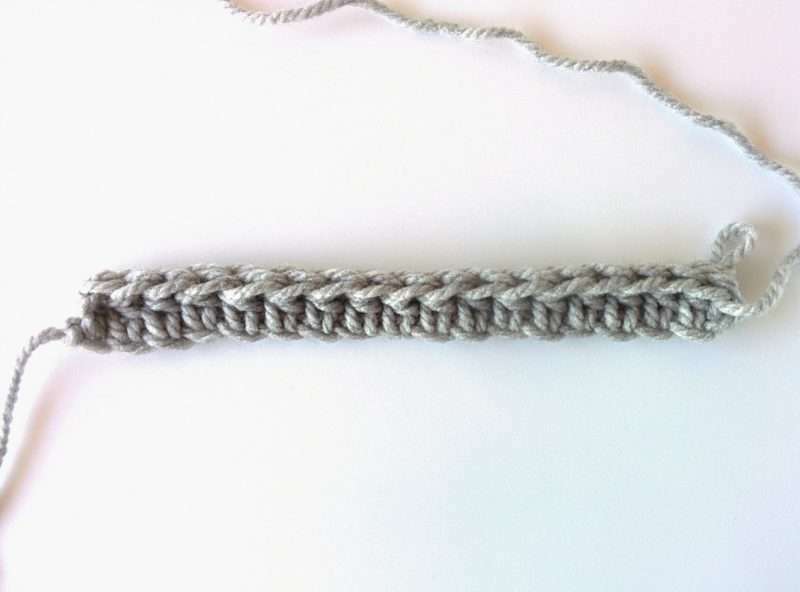 You already have three loops on the hook, so yarn over the hook and pull through all three to finish the stitch. HDC 4, 3 HDC into the same space, HDC 5, then skip two spaces. This is getting interesting, but still doable! First, work 4 half double crochets. Since it doesn’t say anything else, that means one HDC for each of the next 4 spaces. The next part is to work 3 half double crochet into the same space. That’s easy; you just work a regular HDC three times into one space. Then, we work 5 HDC normally over the next 5 spaces. The next two spaces are skipped so when we move to the next part, we won’t work those 2 at all. *HDC 5, 3 HDC into the same space, HDC 5, skip 2 spaces*, repeat this until the last side. Okay, now that you understand how to know which stitches to work and where, let’s focus on the punctuation. As you learn how to read crochet patterns, pay attention to the symbols used. You may have noticed already that commas separate each step within a row. Sometimes, designers use parentheses or brackets to mark repeats. All this means is that you will repeat everything inside the *s or () or  for as many times as the pattern calls for. Here, it’s until the end of the row. The last side refers to the side of the chevrons made. HDC 4, then decrease over the next two spaces to finish the row. Lastly, work 4 HDC across the next four spaces. Then, work a decrease stitch to finish. Leave the last stitch unworked. There’s one stitch left but we won’t be doing anything with it. And that’s the row finished! It’s much longer and a little more involved than our first example, but it isn’t much harder. You already know how to work these stitches and see where everything is. Now, you also know how to read crochet patterns and follow any set of instructions you come across. 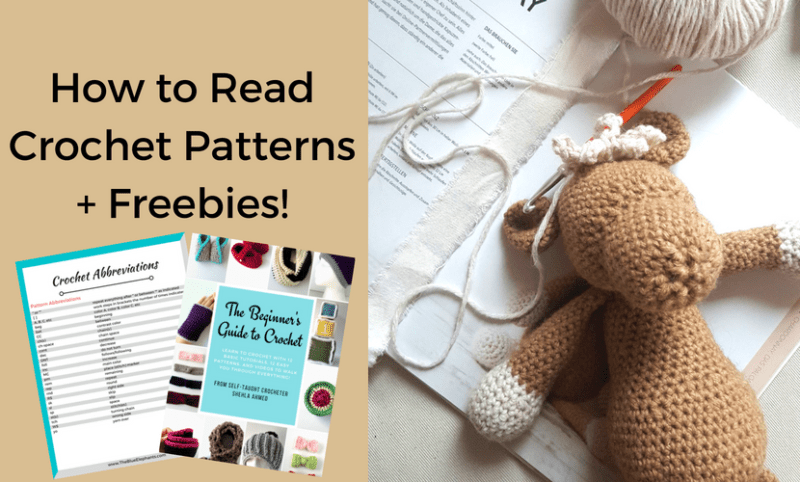 Now that you know what to look for in a pattern and walked through how to read crochet patterns, I have a couple of tips to help you out as you practice. Remember, you can do this. You can already crochet and that’s the hard part. Learning how to read crochet patterns and making new things is the fun part! Read through the pattern before you start. Make sure you understand how the piece comes together. Do you know what stitches are being used and how to work them? Look for anything you might have trouble with a practice that a little bit before starting. Print out a copy of the pattern or photocopy if it’s from a book. I like to keep a clean copy of the pattern for myself and one that I can write on or take with me. Mark off rows as you complete them. I print my patterns out and cross off the number as I finish. Or I make tallies for sections with multiple rows. Break each row into segments and work them one at a time, just like we did above. Work until the comma, then move on to the next section. Use stitch markers to mark the beginning of rounds! Count your stitches at the end of each row. It’s easy not to notice missing stitches here or there until it’s too late. Count at the end of each row to make sure you have the right number. If you still have trouble, ask for help. It’s not a bad thing to ask if you don’t understand something. If you can’t figure out what the pattern is saying, share that row on a Facebook group or email the designer and just ask. If your pattern has different sizing options, find your size: s (m, l, xl) and highlight it. Then go through your pattern and highlight the numbers for each line in your size. Measurements and stitch counts are usually given in the same s (m, l, xl) format. This way, you can easily find how many stitches you need to work/how many rows for your size. Keep track of anything you change or adjust so you can recreate it next time. The best advice for anything you do is to keep everything organized to make life easier for yourself. 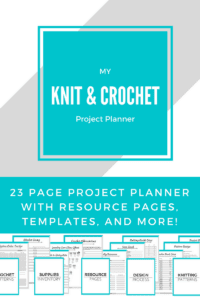 I put together a planner with pages and pages to help you keep your knitting and crochet organized. This planner is perfect for the person who has a hundred different projects going on and needs something to keep them all straight. It’s also great for the budding designing that needs a place to sketch out ideas. 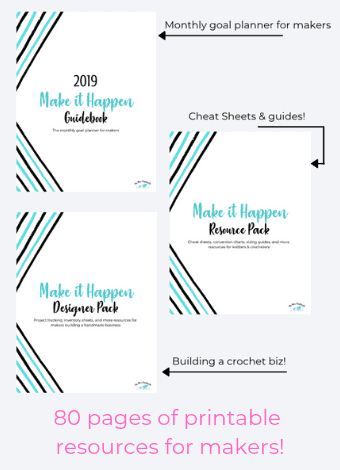 I use it every day to help me run my crochet business and to track and manage all my personal projects, supplies, and ideas. 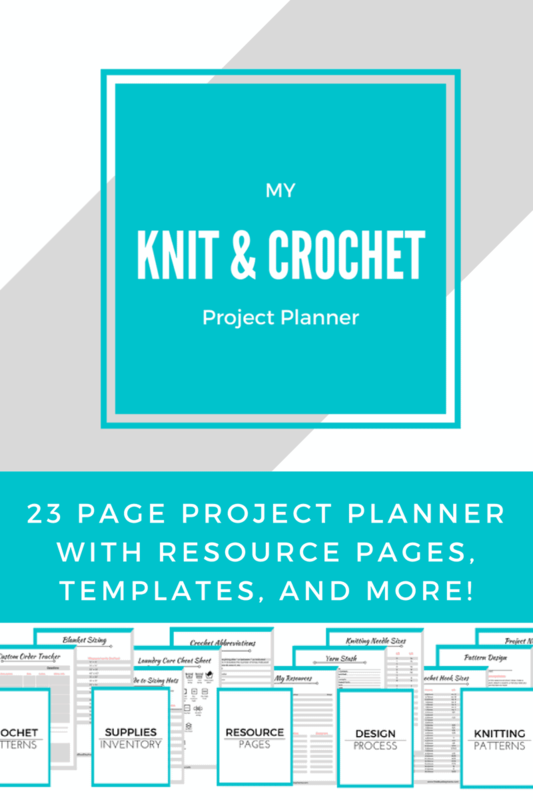 You can find out more about the Knit & Crochet Project Planner over here or pick up your copy from the Etsy shop! They come in couple different colors and everything I make off these just goes back into the blog so I can continue giving you free patterns here. Thank you so much for reading. I hope this was helpful and it got you wanting to really try to read a crochet pattern now. It’s such a wonderful skill to have in your bag or crochet tricks and I hope I explained things well. If you need help with something else, just let me know in the comments below and I’ll try to answer as best I can. For more resources and guides, subscribe down below! You’ll be signed up for the weekly newsletter with free crochet and knitting pattern delivered right to your inbox and you’ll have access to the resource library. That’s all for today!